Ol’ Blue Eyes himself used to hang at the Riviera Palm Springs back in the day, and even after a mod refurb, it still has that Rat Pack glamour. 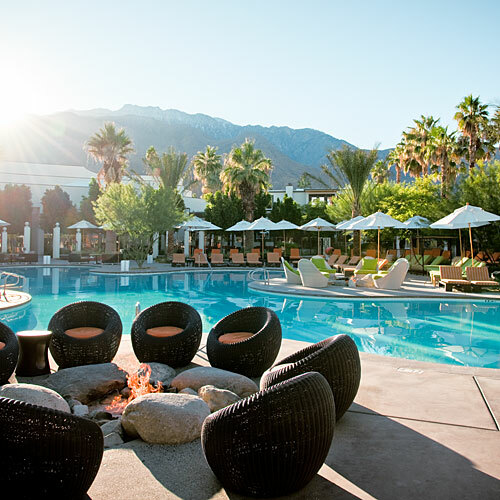 The pool is flanked by firepits, palm trees, and absurdly scenic mountains. And why not rent a beauty queen–themed private cabana?